Newton Highlands' railroad station was constructed before the town was even built. This was back when the Charles River Railroad was extended through Newton in 1852. The primary purpose of the track was to carry gravel from Needham to fill the Back Bay. This lasted until the early 1870s when the railbed was upgraded and resident started to develop the area. 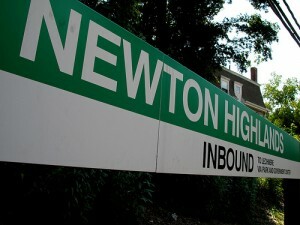 "Newton Highlands" was chosen as the name at a meeting held specifically for that purpose. The Green Line T stop currently lies on the old station's site. The Newton Highlands are centered at the intersection of Lincoln Street and Walnut Street. The village is readily acessible from Route 9 and Needham Street. The quaint suburban village features many small, indepedently-owned shops. The Newton Highlands Neighborhood Area Council is an official elected boy under the City Charter. They work to resolve local issues and plan community events - including the annual Village Day and a seasonal ice-skating rink. 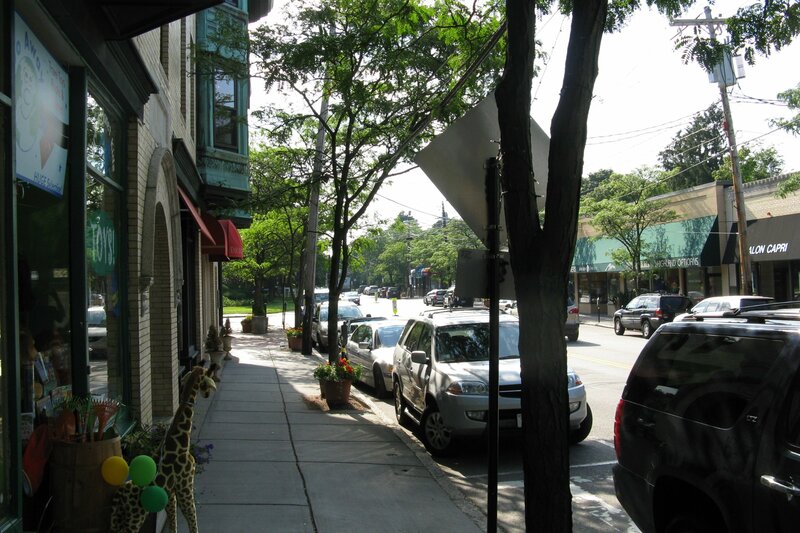 The Highlands are primarily suburban with a small historic district.